For over 30 years, ABC Fire Equipment has been servicing Southwest Florida. We offer service to all of Lee County. 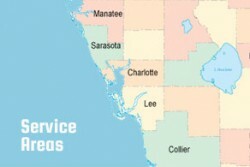 If you are located in Lee County and in need of quality service or equipment, we are here to help.